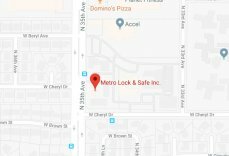 Automotive Locksmith Services You Can Use | Metro Lock & Safe Inc. If you run into trouble that only a locksmith can get you out of, especially if it involves automotive situations, you know the feeling of panic that comes with it. Getting locked out of your car can be very troubling, especially if you are in an area that you are unfamiliar with. If this is ever the case, you should definitely recruit the services of an automotive locksmith. It is best to have a phone number for the automotive locksmith already in your phone or written on a note that you carry with you, as looking up a locksmith at the last minute can be dangerous. An automotive locksmith can offer you a variety of different services. The most common reason an automotive locksmith is called is because someone has gotten locked out of a vehicle. This can occur at any time, as forgetfulness strikes us all at some point. If it happens to you, you want to have a locksmith that you trust ready to call in advance, as that way you know you are not going to get scammed at any point. Scammers are out there, so having a locksmith you know already can go a long way. If you have misplaced a key or had one stolen at some point, you may wish to re-key your locks so you don’t have to worry about break-ins down the line. Having your car broken into can ruin your day very quickly, so making sure you have the only key to the lock is a great strategy. 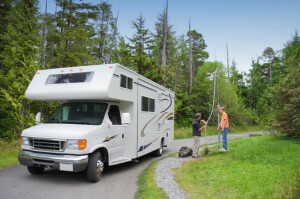 A good automotive locksmith can re-key your lock and get you set up without too much trouble. An automotive locksmith can repair your lock as well. Locks get damaged all the time from normal wear and tear or unforeseeable circumstances, so having an automotive locksmith who can make the repairs and get you a lock that is reliable once again can be very helpful. If the ignition has been damaged due to someone breaking into your car and trying to force it, an automotive locksmith can fix it for you. Ignition repair may also be needed if the ignition is simply stuck or you just cannot seem to get the key inside. An automotive locksmith who is licensed has a lot of experience with the different mechanisms, and can get your ignition working again with little to no trouble.